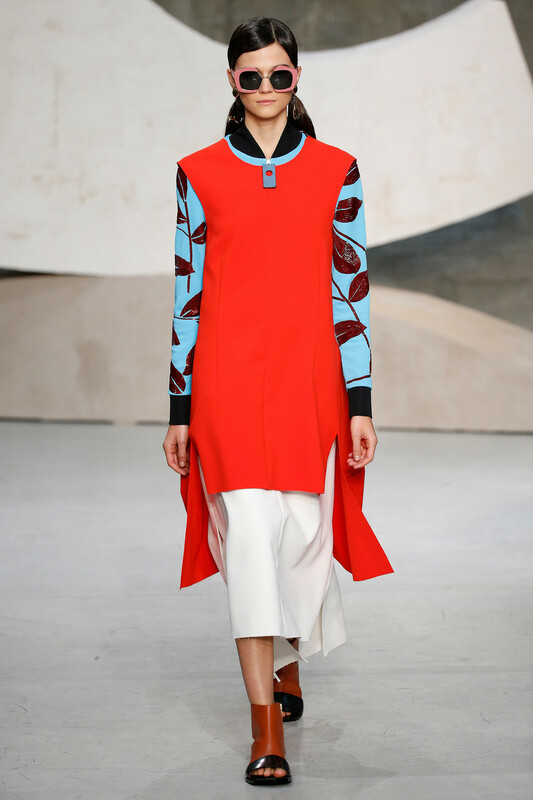 On Sunday morning Consuelo Castiglione sure woke us up with his poppy mix of all things Marni presented to the tunes of Nina Simone’s ‘Baltimore’. 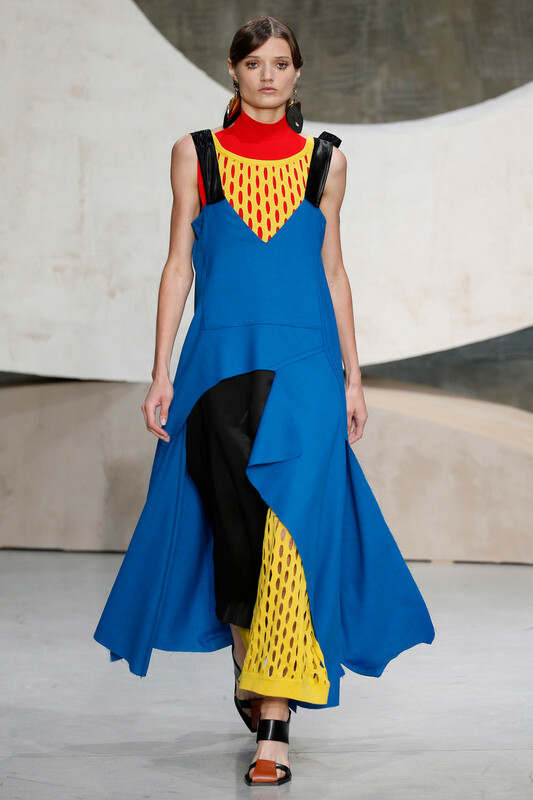 For spring/summer his primary colored designs seemed bolt in every way. 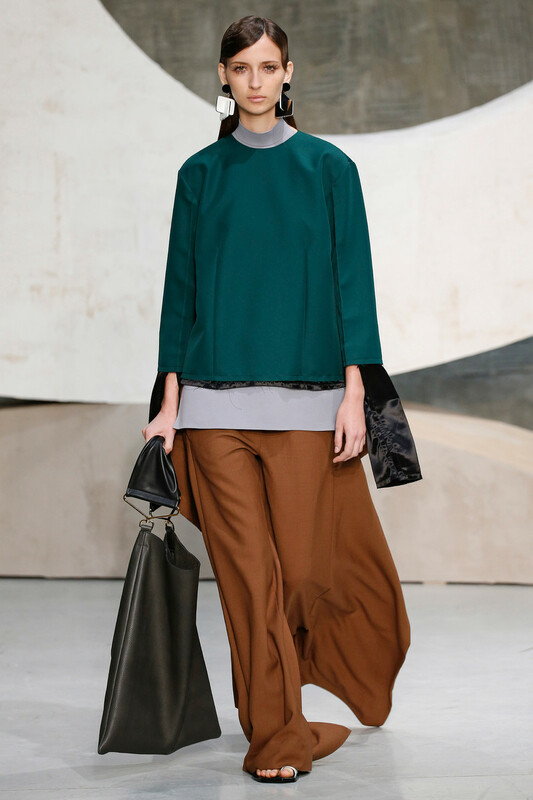 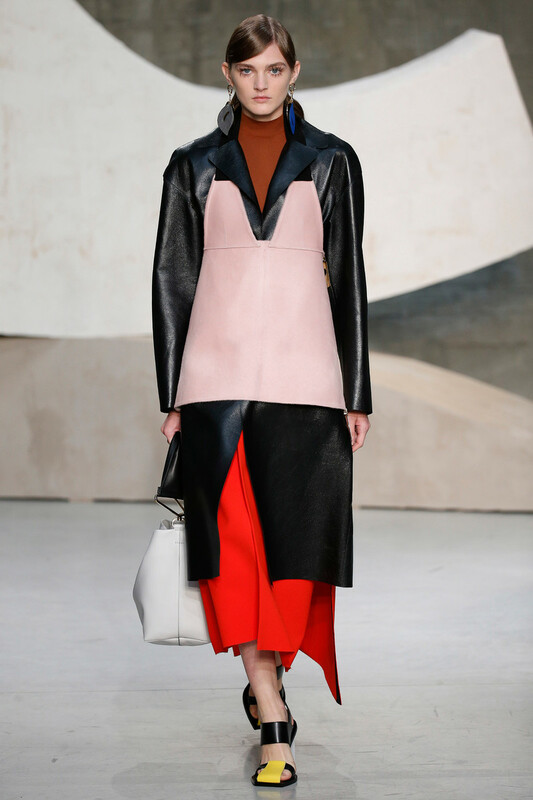 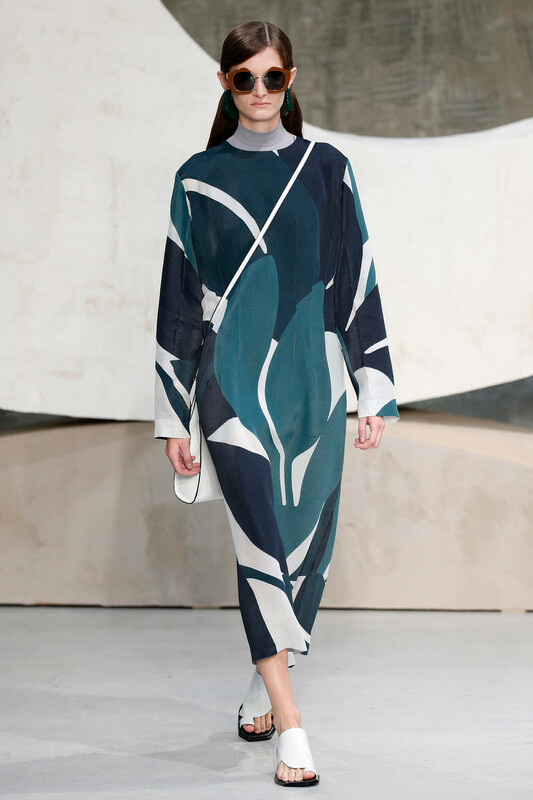 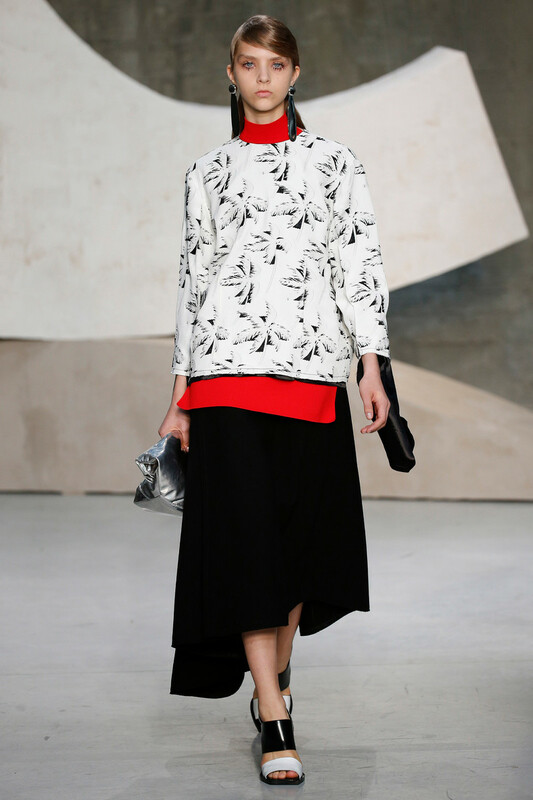 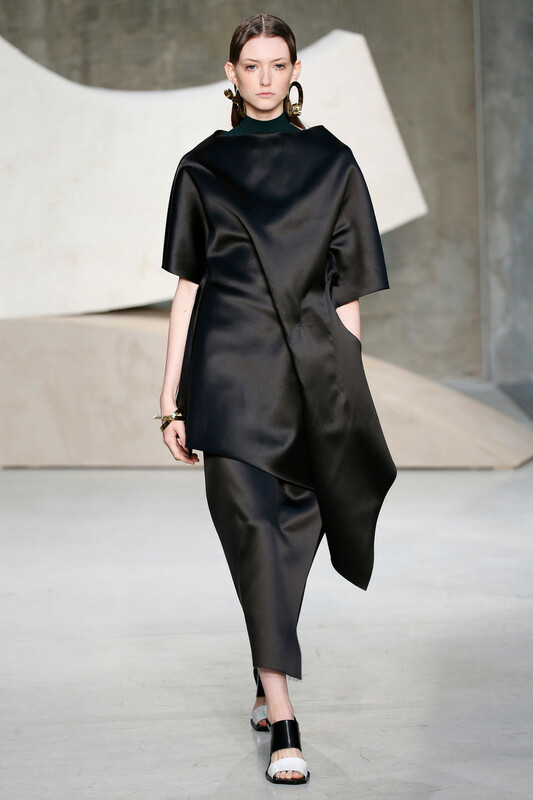 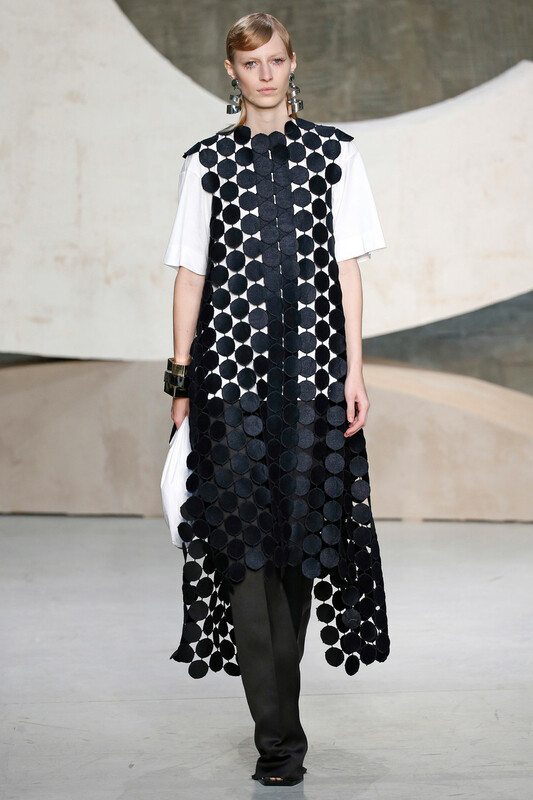 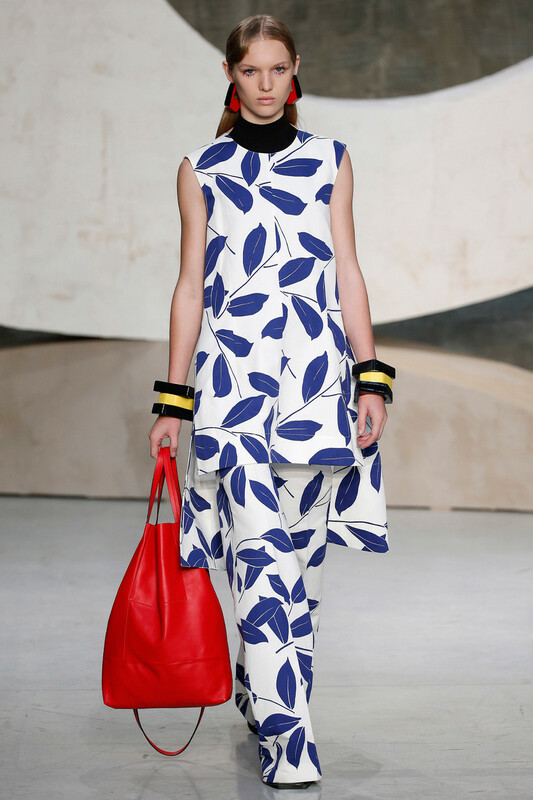 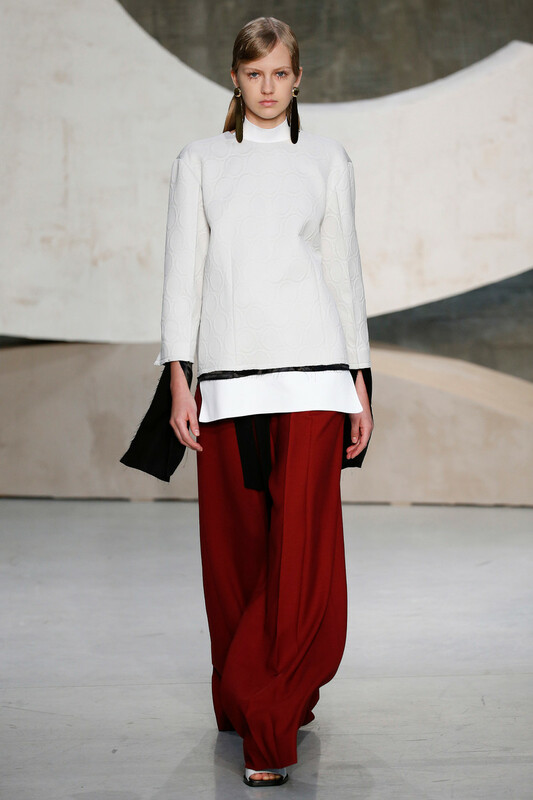 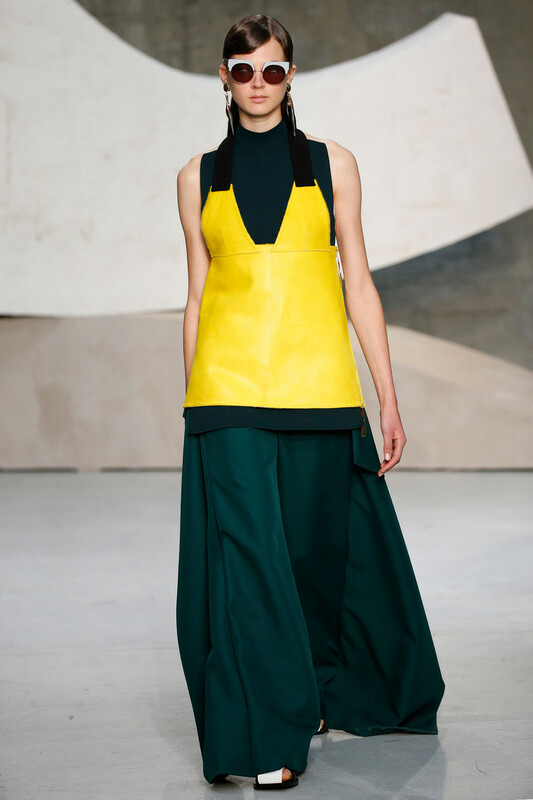 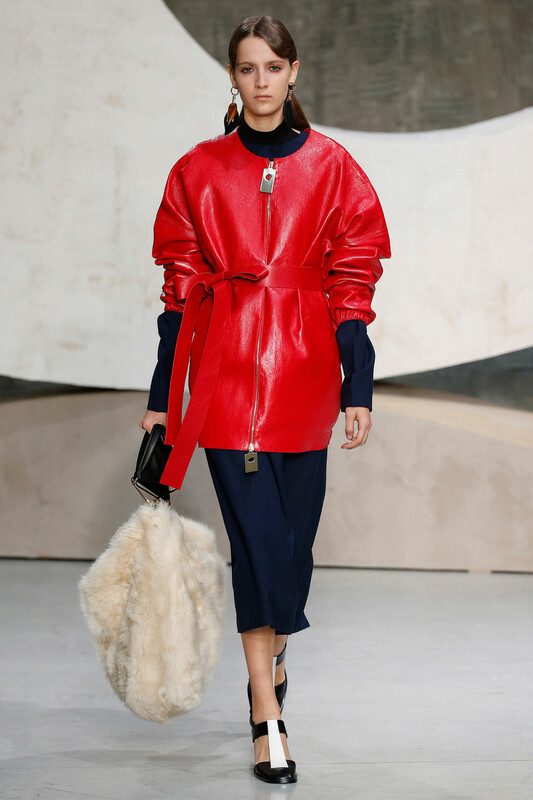 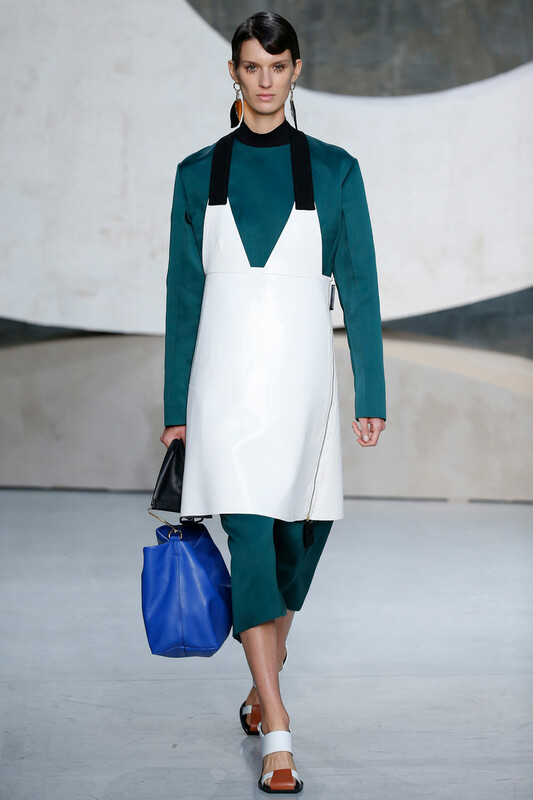 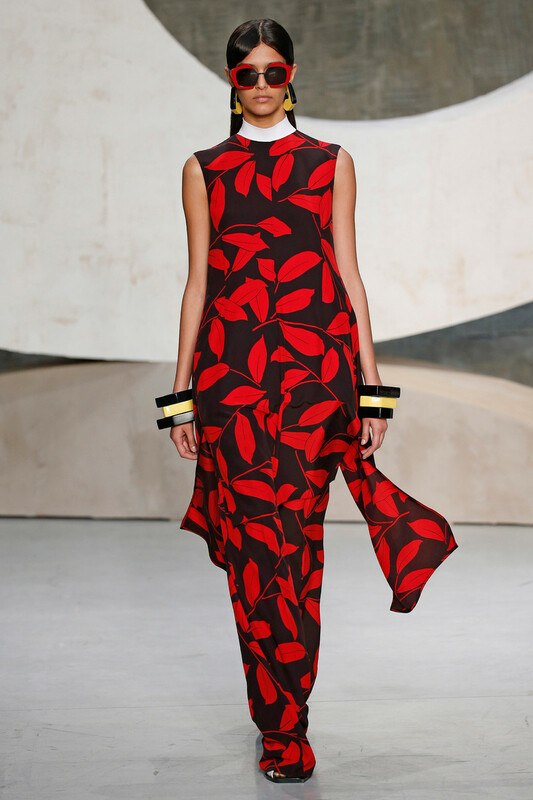 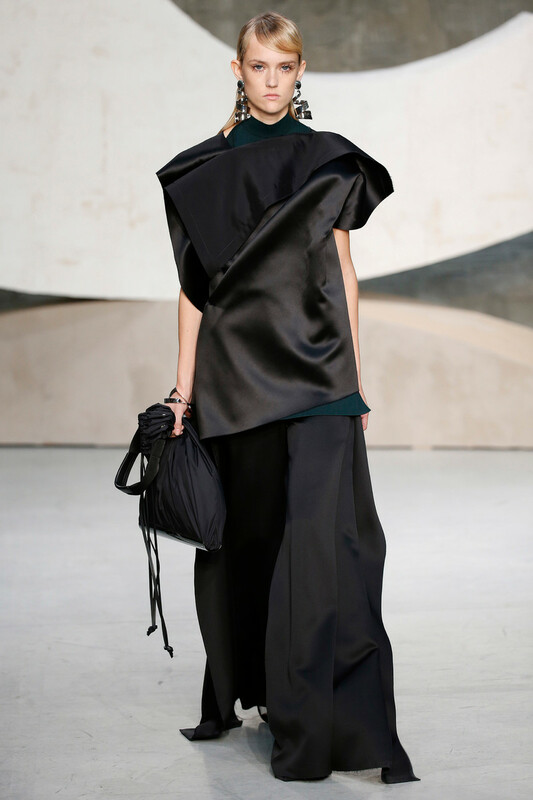 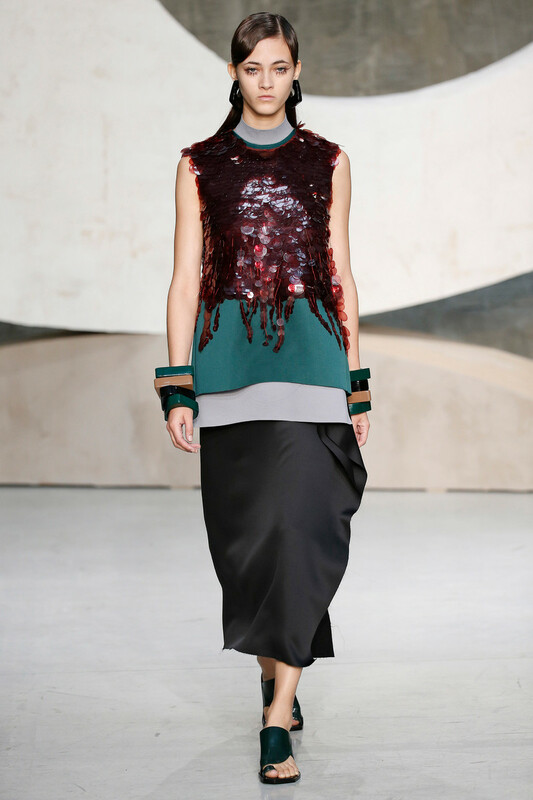 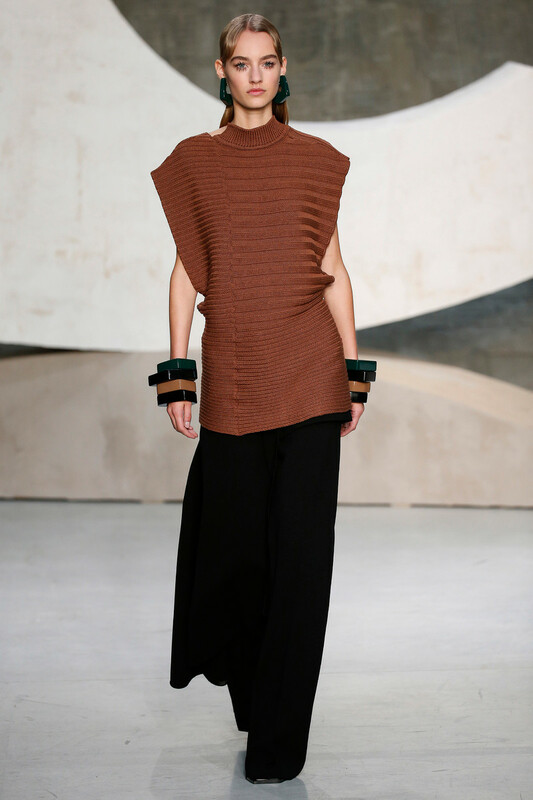 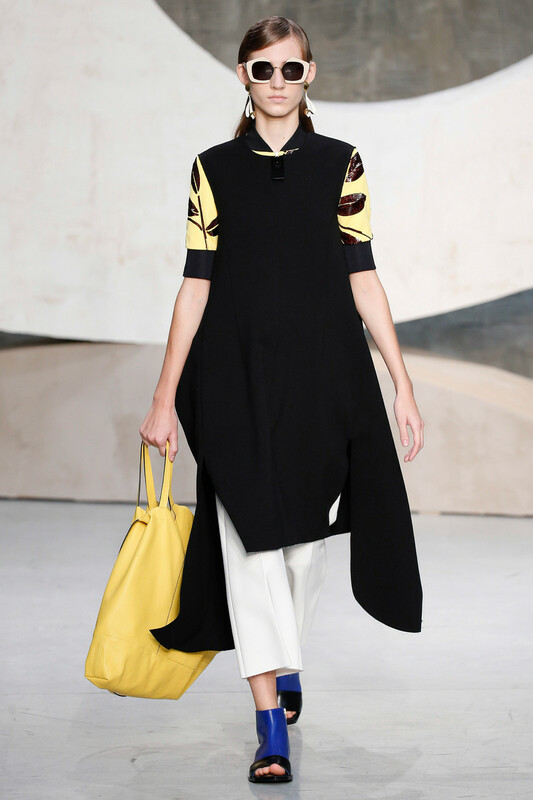 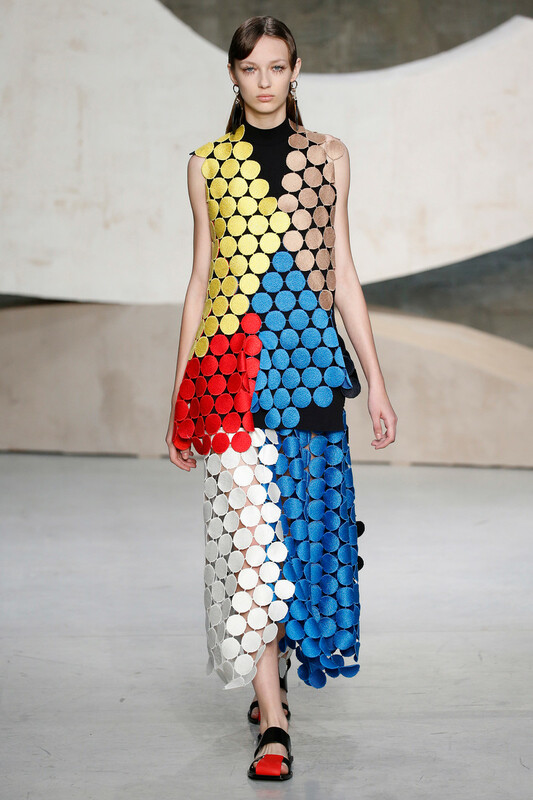 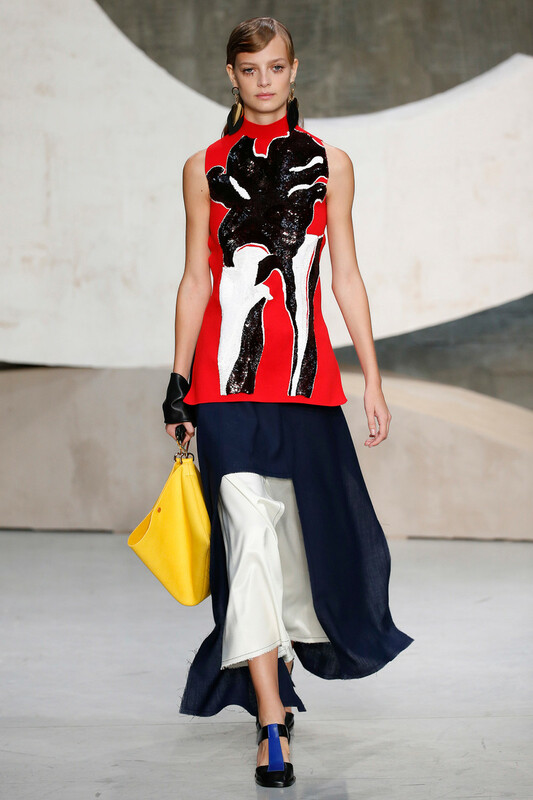 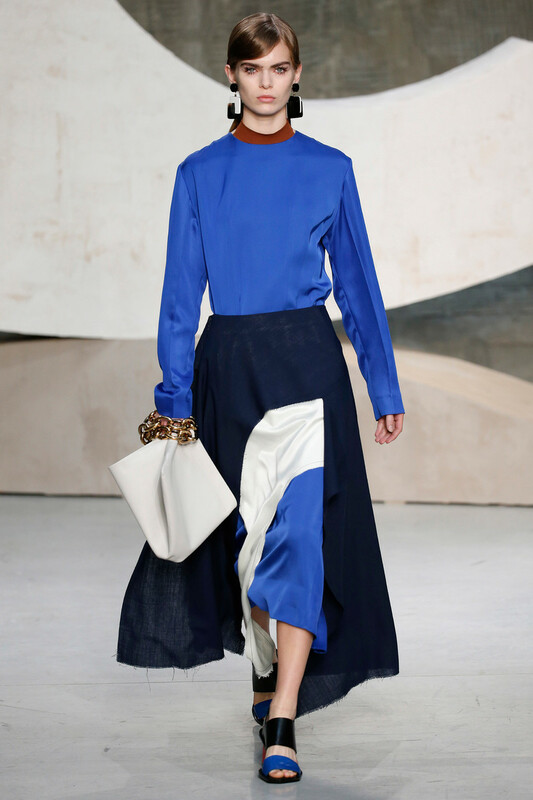 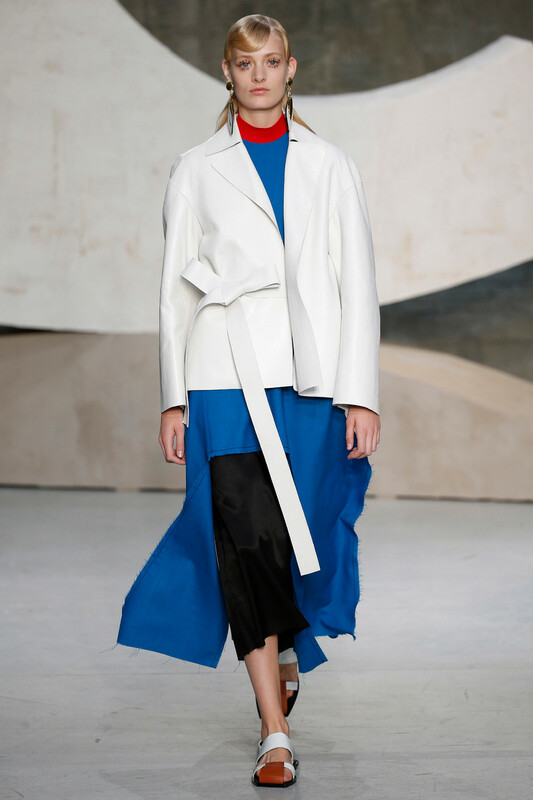 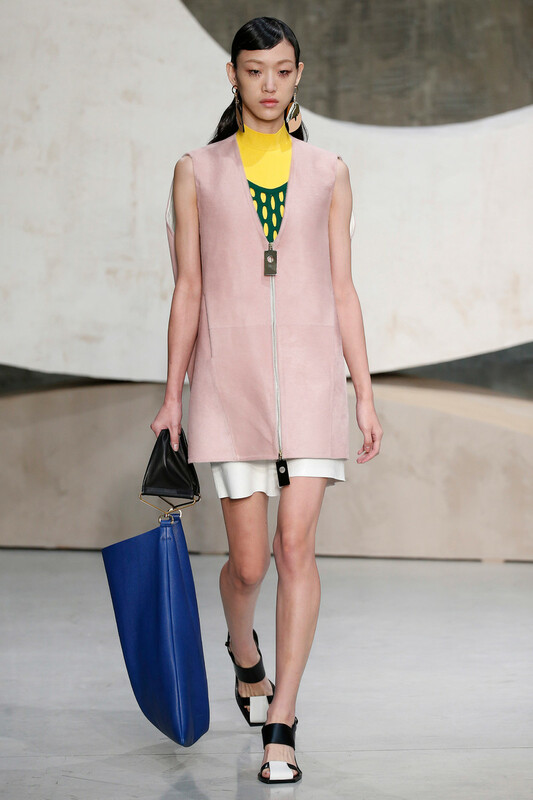 Shades, silhouettes, proportions, detailing and styling; it was all a lot, yet never too much for Marni. 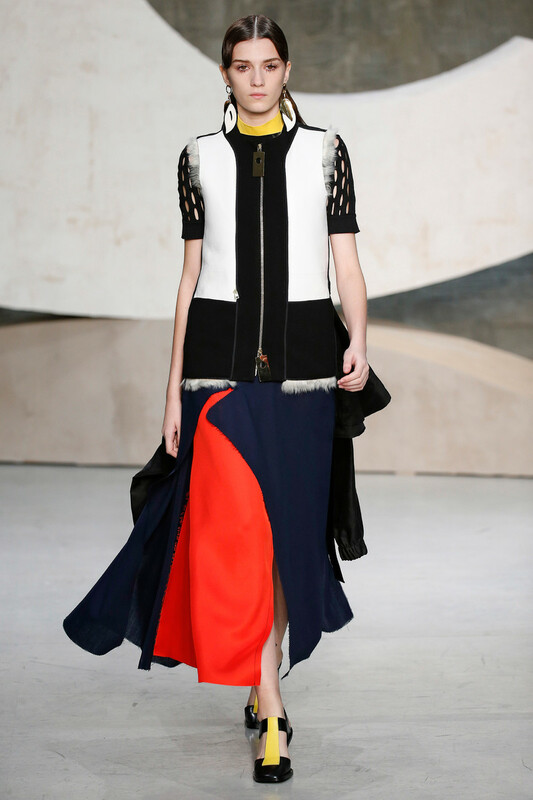 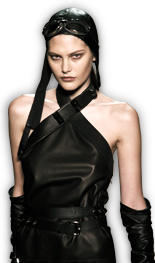 Asymmetric color block looks followed each other up on the runway. 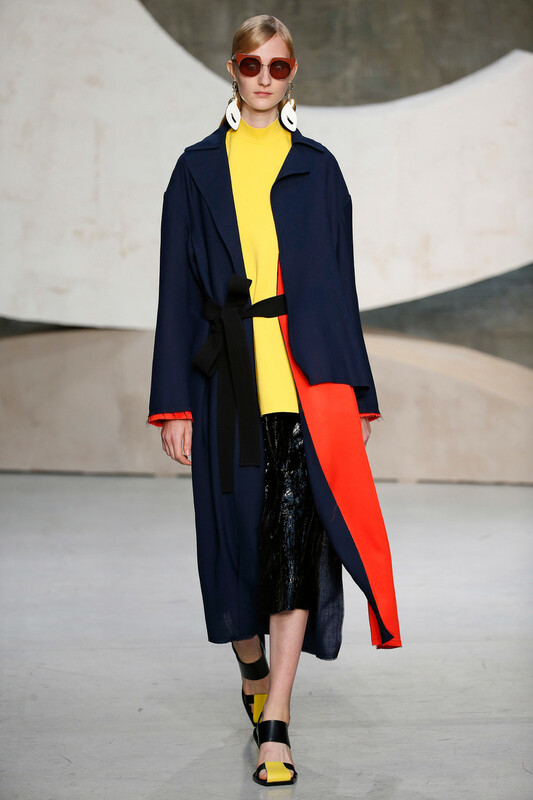 Bright turtle neck worn underneath tunics and boxy jackets paired with ultra wide flares. 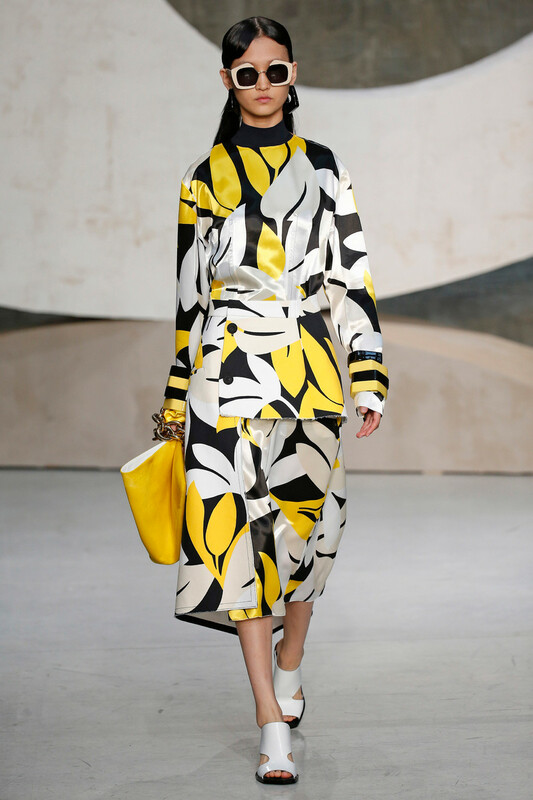 Leave printed tunic co-ords, shiny jackets with rounded, tucked up sleeves and a series of silky black evening numbers. 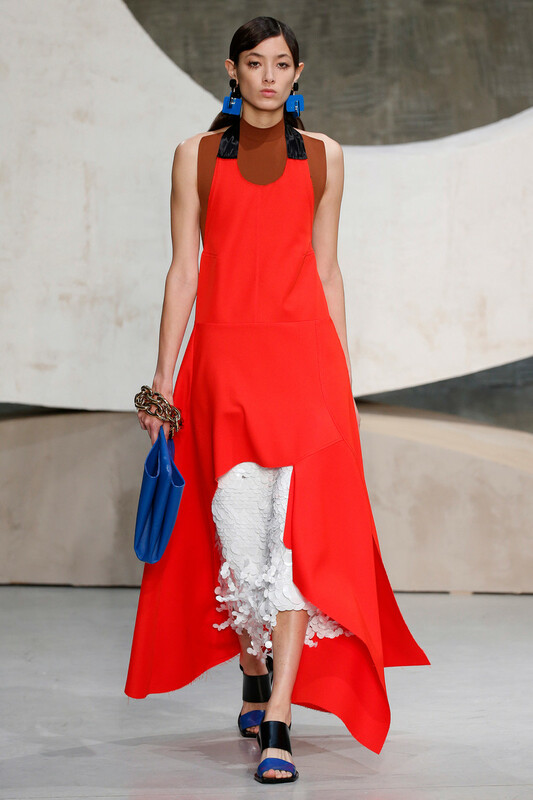 Sequins, loose straps, mesh details; all the SS2016 trends we spotted before (at NYFW) were there, but magnified for Marni. 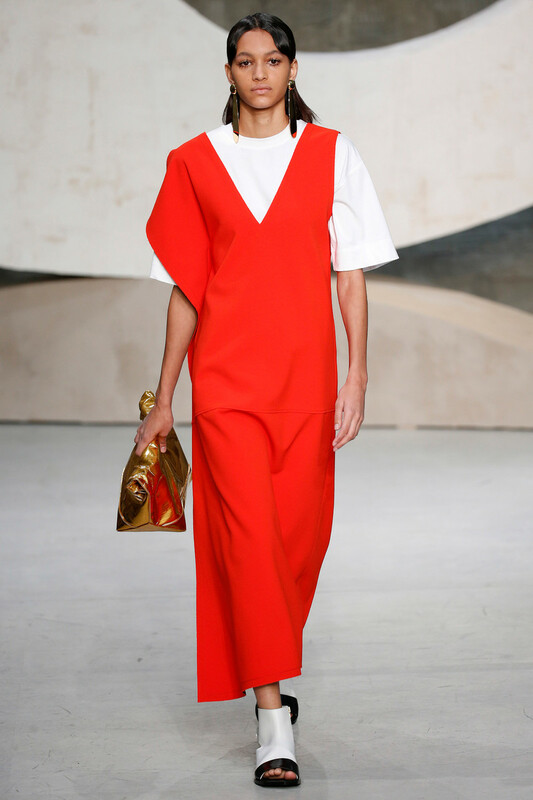 Eye catching earrings, statement sunnies,multiple bangles, exaggerated zippers and large chain bags in the mix. 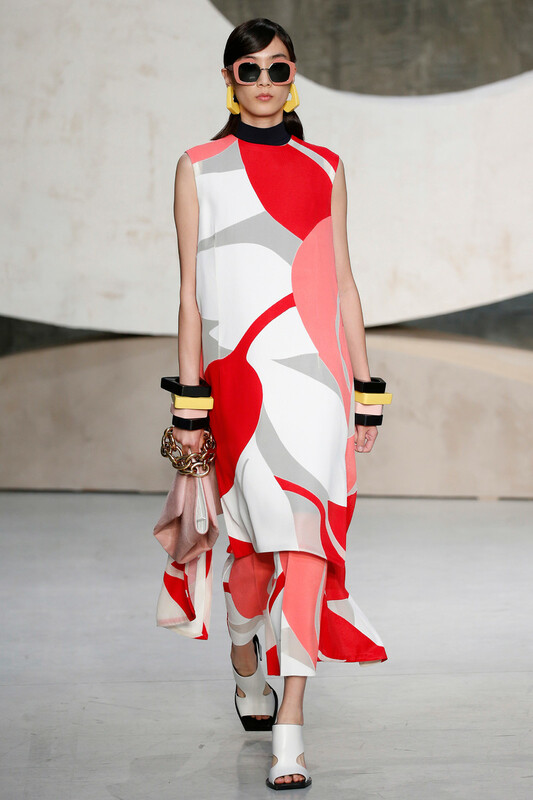 Strong partings and Twiggy lashes to the touch. 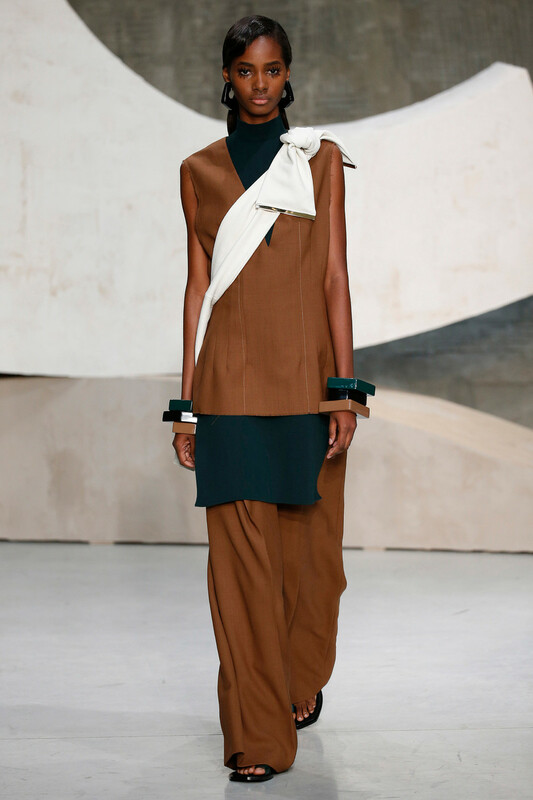 This was a blunt Marni at it’s best, ‘fashion’ written all over it and perhaps the start of a huuuge upcoming maximalism trend (after so many seasons of cleanness and sobriety it’s about time).